Wage Garnishment: Can My Wages be Garnished if I Receive Disability? 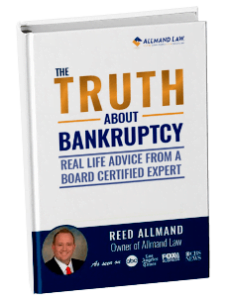 By Allmand Law Firm, PLLC|2018-11-16T07:14:31+00:00July 30th, 2012|Debt and Tax Relief, Tax - Debt Garnishments|Comments Off on Wage Garnishment: Can My Wages be Garnished if I Receive Disability? Can I Stop IRS Wage Garnishment After it has Started? By Allmand Law Firm, PLLC|2017-12-13T01:46:49+00:00January 12th, 2012|Debt and Tax Relief, Tax - Debt Garnishments|Comments Off on Can I Stop IRS Wage Garnishment After it has Started?